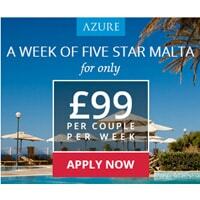 How about a five star holiday for a week in Malta and all that only for £99 per couple? If that excites you then follow our link and fill up the form with your details and get this offer right away. Click on “GET IT HERE” button and then follow instructions given above to book your cheap holiday.